In a far-off land, on a distant world, a soldier camps with a tiger, travelling in secret to unknown goals. But who is this soldier? Why is the tiger important? Find out in the first issue of ISOLA! Fletcher and Kerschl write a captivating world with very little dialogue. Bits and pieces tell of cultures only hinted at, of sacred animals, of myths that could save a life, of the regions of different clans and laws of different lands. Each little morsel builds upon the last, making the reader want to know more about the world, more about where the characters come from and what their quest is, more about how they were forced into this journey in the first place. It’s all very enticing. I love the work Kerschl has made. The art is wonderful, from the variety of alien animals to the armor Rook wears. I especially love the subtle details. The series of scars on Rook’s face. The open eye of a dead Hallum, birds swarming around it like flies. The ripples of Rook’s movements in mossy swamp waters. The piercing orange of a mysterious fox’s eyes. These small touches make the art. My favorite piece of the art, though, is probably the tiger. Black fur with glowing light blue stripes, eyes that demand attention, Olwyn stands out. Her expressions show the recognition of situations, the requests she has, her wants and rage. Her posture and actions give an air of confidence and strength. The coloring is amazing. I love how Msassyk brings tone and time to the pages through his color work. The blues of night, the yellows of the day, and the mysterious greens of a place that feels unknown, almost an exception to the world. The comic would not be as breathtaking without the coloring. The blindingly blue eyes of Olwyn are half of what draws the reader towards her. Msassyk really did a wonderful job in this issue. 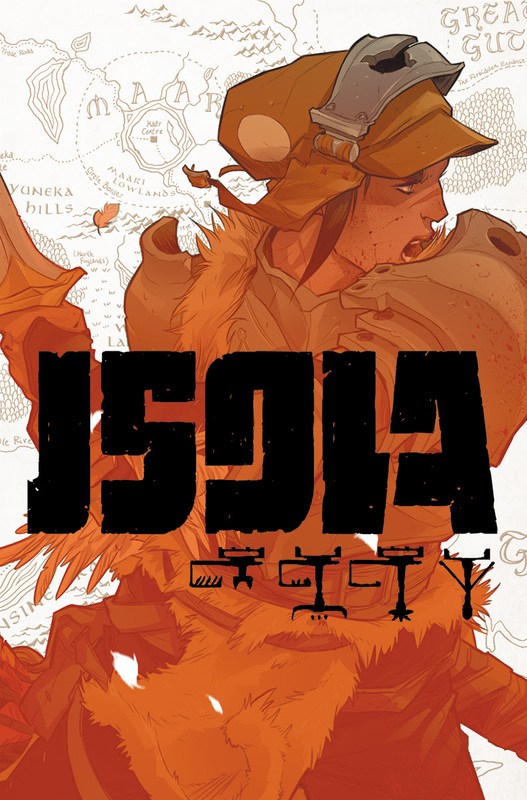 Read ISOLA when it comes out. Read it. It’s a fantastical world with a tremendous amount of well-done worldbuilding and definitely has several mysteries to solve in the upcoming issues. I highly recommend it.